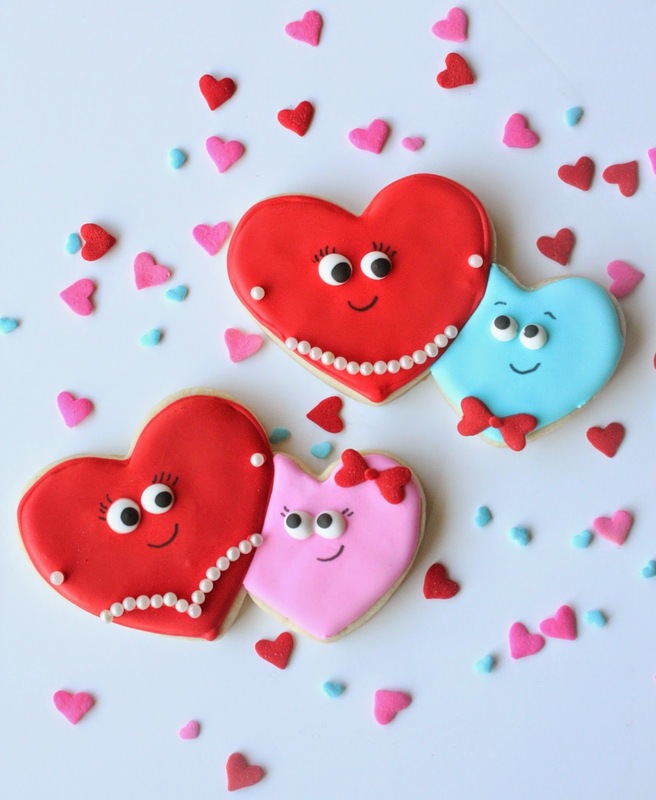 For Valentine's Day, I used a double heart cutter to make some cute strawberry sweetheart cookies. 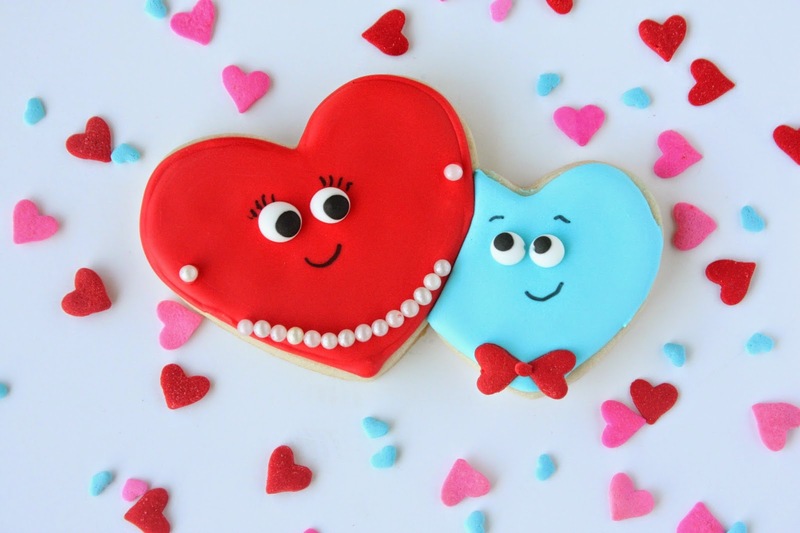 I knew it would make a cute Mother's Day cookie, but wanted the "child" heart to be smaller. 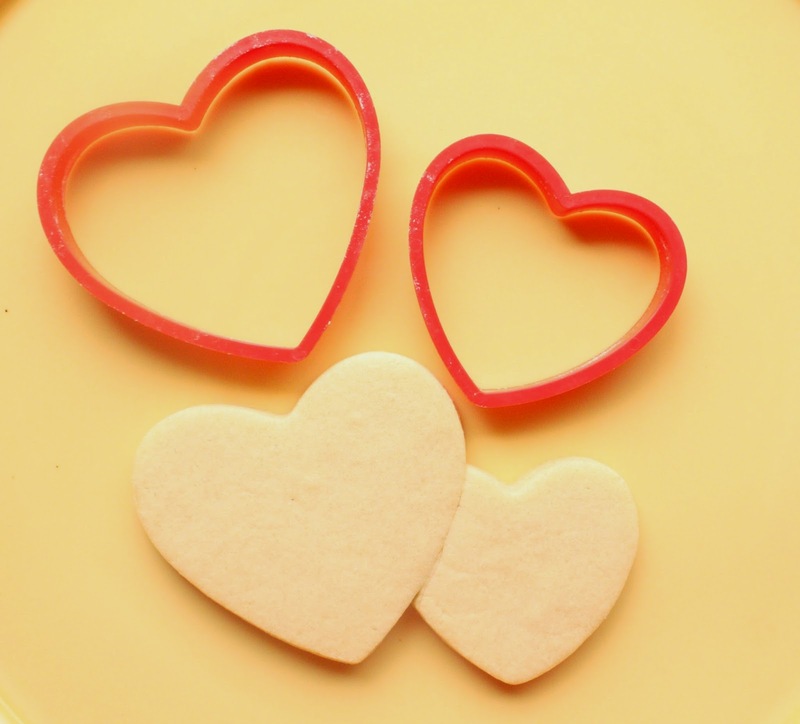 So...I found two sizes of heart cutters in my cutter collection and with a little modification (before baking), I had a "mommy and me" sugar cookie. 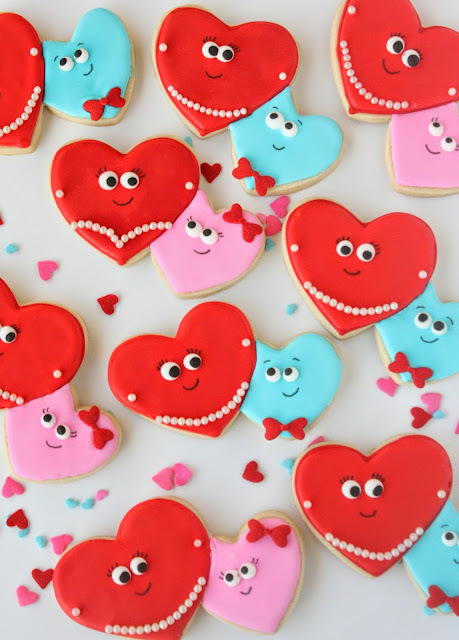 They were very simple to make, especially with the sprinkles (red hearts, and small, red confetti sprinkles to connect them, for the bow ties and hair bows)). This time I made the eyes with royal icing instead of store-bought candy eyes. 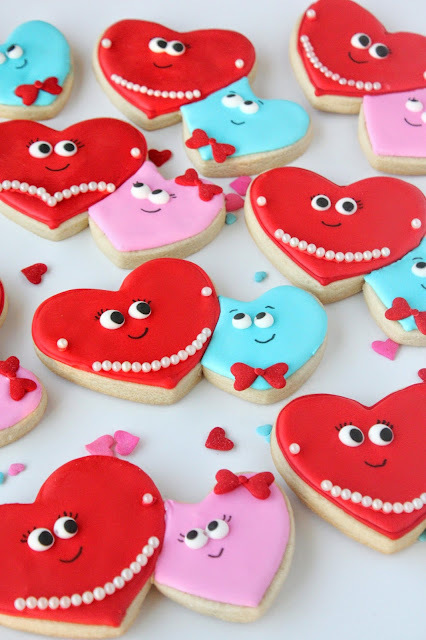 I really wanted to make the two cookies look at each other. It was easier for me to make the small one look up, but for some reason I had a harder time making the other eyes look down. The other facial details were made using a black FooDoodler marker. 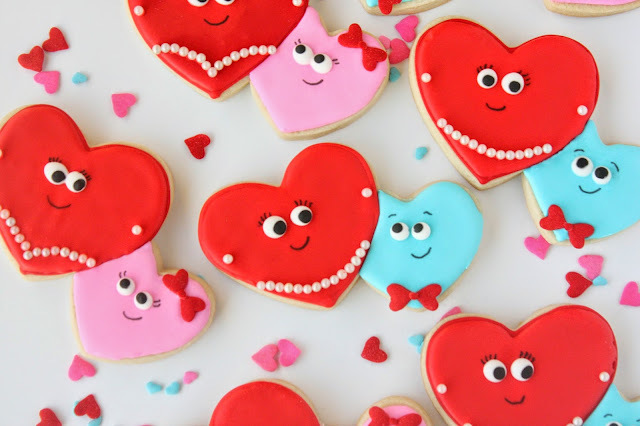 You make the BEST cookies and your decorating skill is so impressive! Have a Happy Mother's Day and weekend! These are so adorable! I love the pearl detail, and the little hearts attached to the larger ones remind me so much of my kids. They're still in that stage where, at times, they hold on to my clothes and follow me around. Lol! I'm trying to appreciate it because I know that soon they'll be older, and too busy to even have time for me. So cute. I have to make these for my mom next year! Pearl necklaces and pearl earrings! Your attention to detail is wonderful, just like these cookies! Hope you enjoyed a lovely Mother's Day.